VisualCAM along with VisualCAD is MecSoft's standalone CAD/CAM package that is considered the best valued CAD/CAM system on the market today. 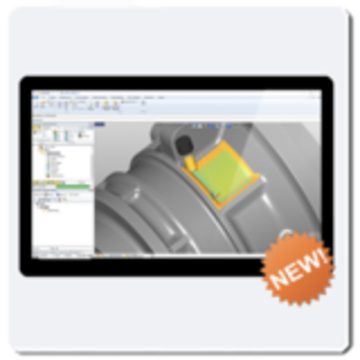 VisualMILL, our flag-ship standalone Windows based CAM software package, is ideal for mold, die &tooling, wood working, rapid prototyping and general machining. Priced right for the cost conscious buyer, VisualMILL CAM Software delivers outstanding value for your investment. It also includes VisualCAD, a completely free modeling system. This is a general purpose machining program targeted at the general machinist. This product is ideal for the rapid-prototyping, hobby and educational markets where ease of use is a paramount requirement. Packed with sufficiently powerful manufacturing methods this easy to use package is not only effective but also attractively priced for the budget conscious or entry level buyer.